It's the second day of the weekend-long Food & Wine Classic in Aspen, and Peter Giorgi, the new chief marketing officer of Celebrity Cruises, has just flown in from Helsinki to check out the brand's experiential activation at the renowned culinary event. It is a year of firsts for Giorgi, the former global head of advertising for Airbnb as well as his Miami-based company. 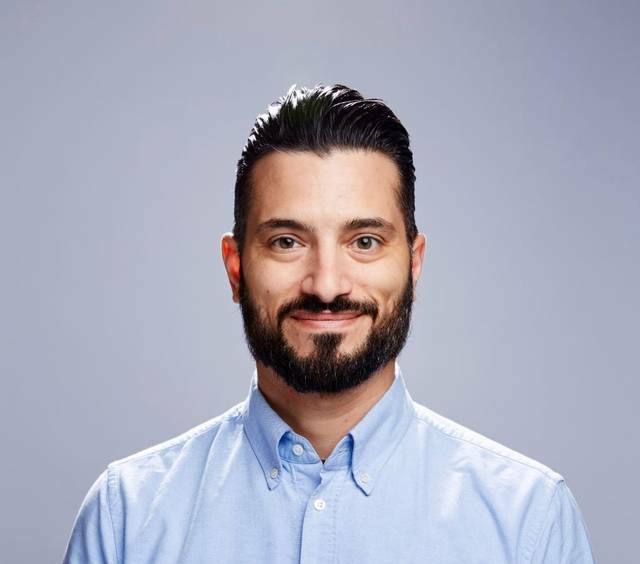 A veteran of agency CP+B, where he worked on accounts like Volkswagen and Jose Cuervo, Giorgi joined the Royal Caribbean-owned brand in April as its first CMO. It is also his first job in the cruise industry, and this is the first year the luxury cruise line has been a brand partner of the long-running Classic. This year also marked the first time we've seen the work of Celebrity's new agency, Venables Bell & Partners, for the brand—a campaign that had ship staff playing a game of "Marco Polo" with customers. Giorgi takes on his new post at a time of exhilarating developments at the company. Last month, Royal Caribbean delivered the largest cruise ship in the world, the 6,780-passenger Harmony of the Seas. It also ordered two new ships that will carry the Celebrity name. But as ships get bigger and flashier, it is also a time when the industry has been plagued by scary headlines about passengers going overboard, crashes and masses of people getting sick aboard ships. Adweek sat down with Giorgi in Aspen to talk about how the food craze and events like the Classic dovetail with Celebrity's marketing strategy, changing perceptions about the industry and how his former life in the agency and startup worlds informs his new job. Adweek: As the first marketing chief of Celebrity, what do you see as your role? Peter Giorgi: [The hiring of a CMO] is an acknowledgement of how important developing the brand is going to be for our future success. The category has become very dependent on retail and deals and this sort of endless cycle of promotions, and I think there's a recognition that we have to build a narrative and meaning and value beyond pricing. We need to bring back the romance of what a cruise is. The role is big—it encompasses loyalty, digital, mobile, retail and brand. What is the Celebrity brand story? At Airbnb, the job was to address misconceptions about what the product was and what the experience was. When you look at the first campaigns we did, they were very focused on dispelling myths about the brand. There is also a misconception about what a cruise experience is like in general—the accommodations, the destinations, the culinary experience. People have preconceived notions of what a cruise is. Then they get on our ships and see we have this incredible culinary experience put together by a Michelin-star chef, and they stay in a comfortable, well-appointed room and find a level of service that is absolutely equal to a Four Seasons or Ritz-Carlton. I spent several days with very frequent cruisers who told stories about how a waiter remembered a drink order from 10 years ago, or an anniversary. This is the first time Celebrity has been a sponsor of the Food & Wine Classic. With all the other events around, why this one? This is the center of gravity for the culinary world. These people are passionate about food, and we want to demonstrate to them what they can experience onboard our ships. One of the toughest things about marketing a cruise line is demonstrating to someone what cruise is like, to get them on a ship—that's also the hardest thing to do. If we can bring that experience to people who are passionate about something, it helps bring the story to life. Was that the thinking behind your activation here in Aspen? We wanted people to have a different experience every day here, because one of the great things about a cruise is it's a different experience every day—there's a different port, a different menu. So we wanted to use these three days to showcase different offerings from the brand. How do you think your work at Airbnb and Crispin can inform your job at Celebrity? I think working on the agency side teaches you to evaluate problems in a nontraditional way. The way agencies work, you're thrown onto an account, and you have to learn everything you can about the product, the competition, and be able to speak to everything that's happening for a brand. But you are also expected to apply a level of strategy and creativity to what you're doing, and at Crispin, even account people were expected to be strategic and creative, and that's what made that agency special at that time. I brought a lot of that to Airbnb, where I was brought in because of my ability, I think, to apply nontraditional and sound strategies, and a really deep appreciation for creativity and how it can be an accelerator of growth for a brand. I am applying the same philosophy here. You are preparing for the launch of the newest addition to your fleet. What of this trend where we have cruise lines competing to have the biggest, tallest ships? "Est" is the greatest thing in the history of marketing, right?—the biggest, the tallest, the fastest. You watch one day of NFL football and you will learn which truck has the most torque, the most fuel economy. But this is not an arms race—it is about a combination of refinements that isn't like an experience you can have anywhere else.